Today would be Steve Ditko’s 91st birthday. I initially drew this for a coalition of 91 artists drawing Ditko sketches today. I’m not sure if there is going to be any follow-through on anyone else’s part. 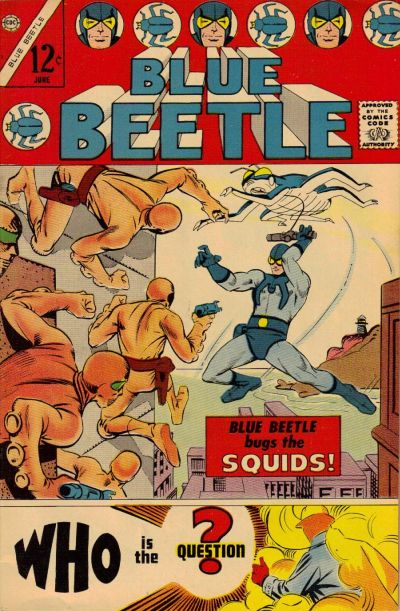 This is an homage/recreation of Charlton Comics’ BLUE BEETLE #1 (see below). 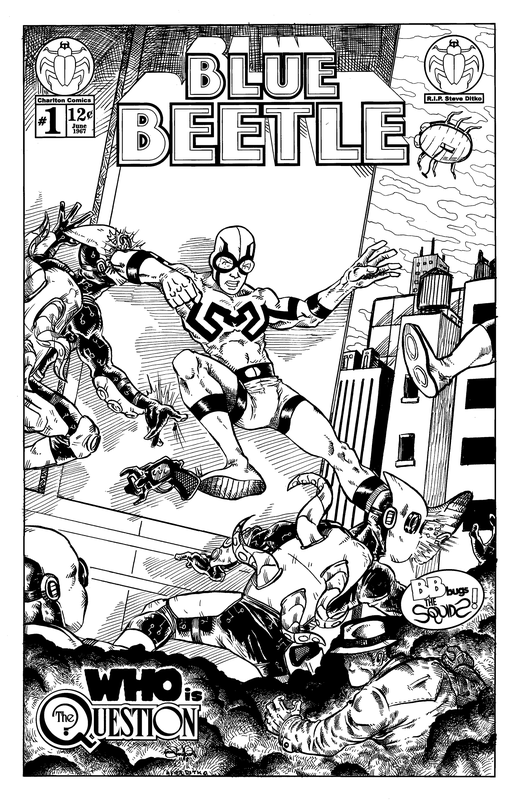 I will have this listed on eBay, with all proceeds going to the Hero Initiative. Most people I know won’t bid, but if you can share, that would be fantastic. The Hero Initiative is a great charity, and I would love to raise a good bit of money for them.